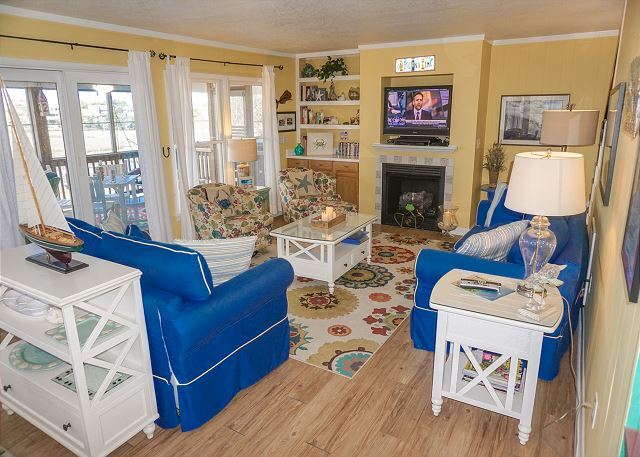 Step into Spyglass Hill and step into the perfect vacation spot! 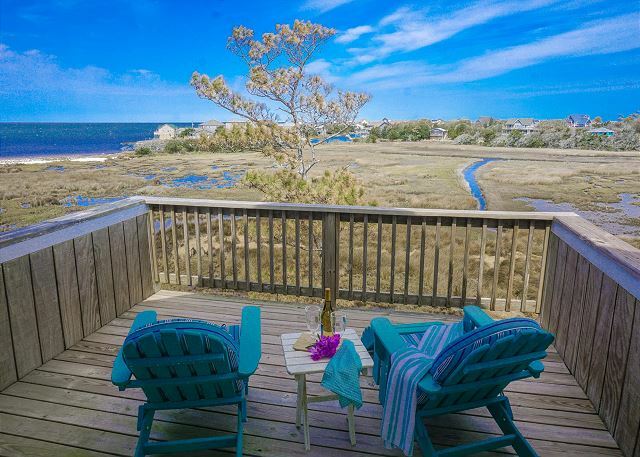 Nestled among the trees in the quiet neighborhood of Indian Town shores all your stress will be replaced with calmness in this perfect getaway. 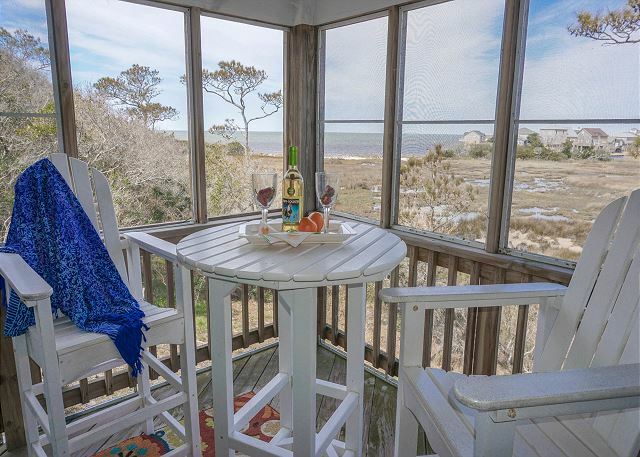 With a large screened porch offering panoramic views of the salt marsh and the Pamlico Sound you won’t miss a single Hatteras Sunset. 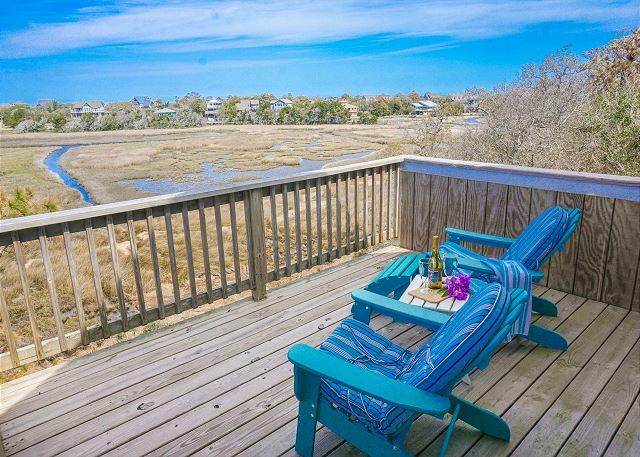 This is the spot, relax and enjoy what we call Hatteras time, slow and easy! 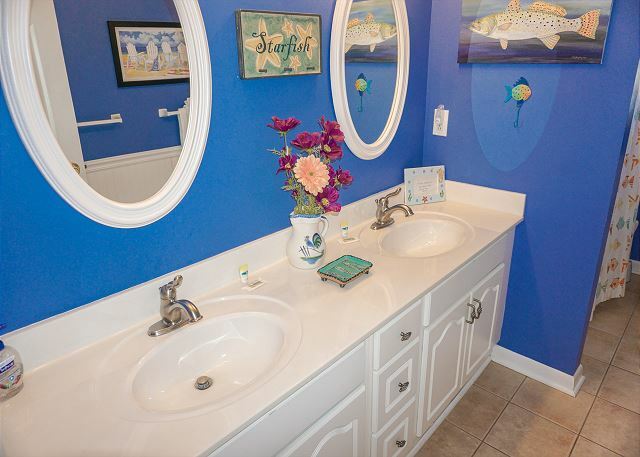 This home has been lovingly decorated with attention to every detail. 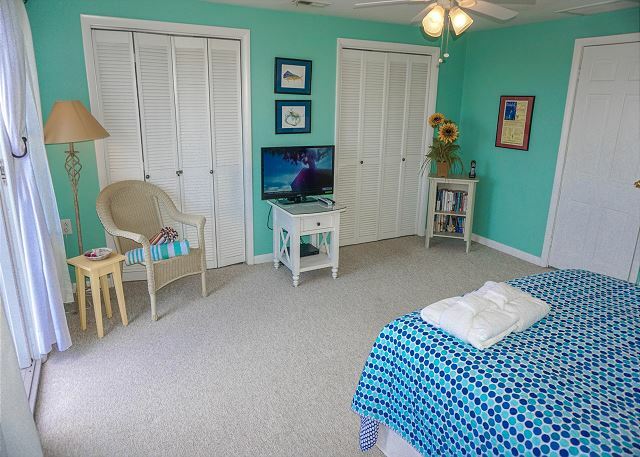 Each room will delight you with the comfortable and the colorful. 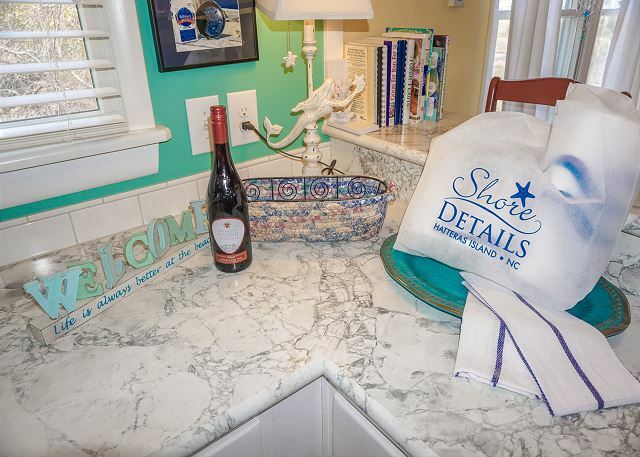 From the moment you enter you’ll find everything you need at Spyglass Hill. 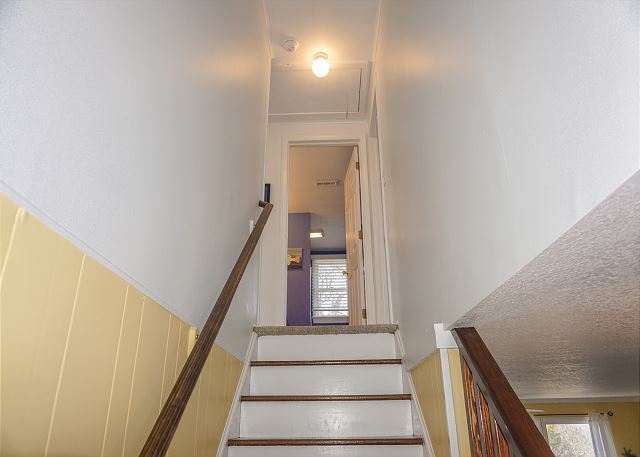 With the open living space on the first floor your family will have plenty of room to gather. 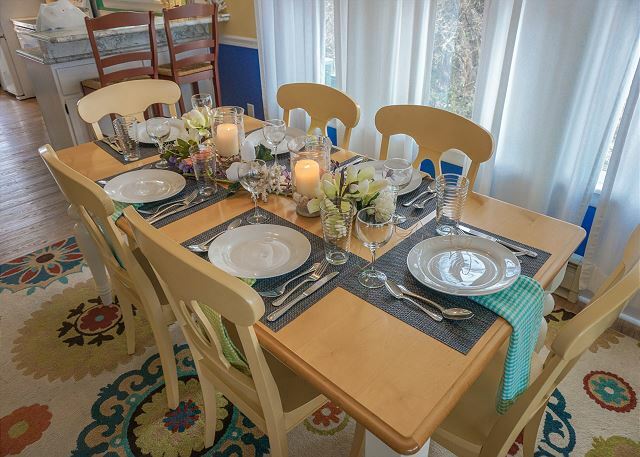 Join together in the well-equipped kitchen & dining area or cozy up by the gas fireplace in the open living room. 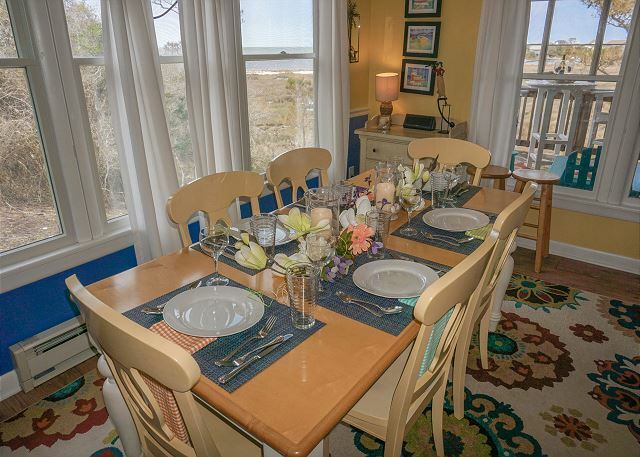 With lots of seating there’s room for everyone. With one queen master bedroom downstairs and two more bedrooms upstairs everyone will find the perfect spot for a great night’s rest. 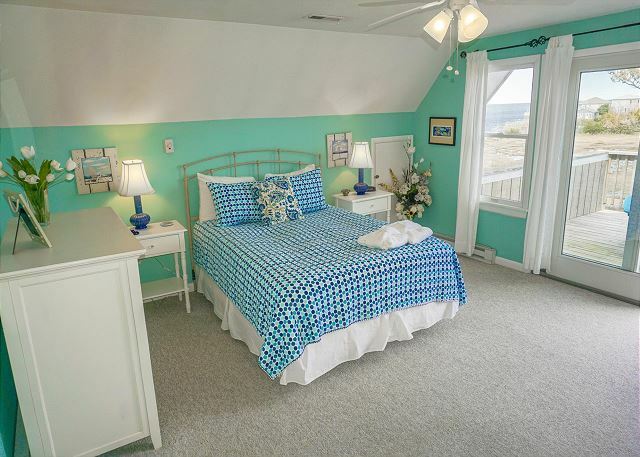 The upstairs queen bedroom also provides TV AND its own private deck, perfect for a romantic evening watching the stars. 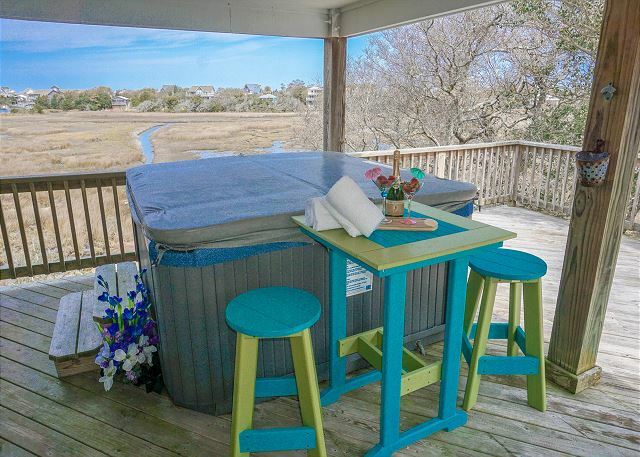 And don’t forget…overlooking the sound you’ll find a hot tub guaranteed to sooth! 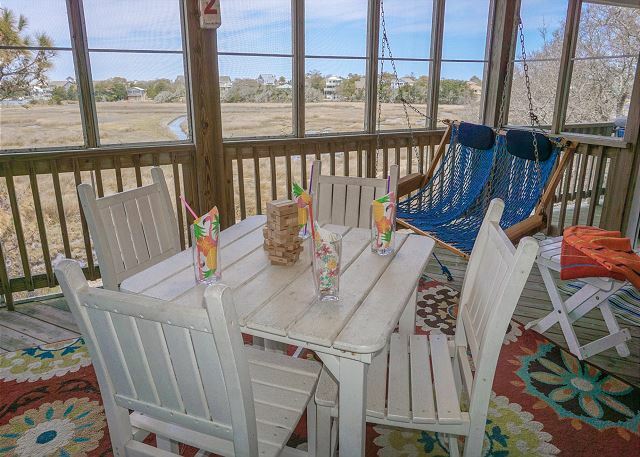 Lots of deck chairs give everyone what they want, shade on the porch, a nice soak in the hot tub or just relaxing on the large deck with the Hatteras sun on your face. 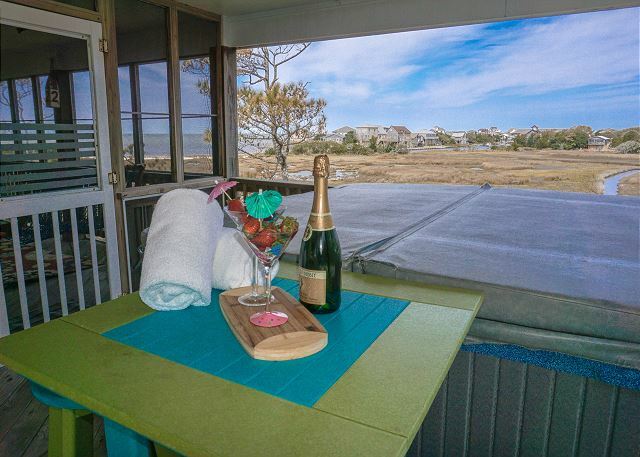 So come enjoy Hatteras as it should be…relaxing in the quiet and serene setting at this adorable home. 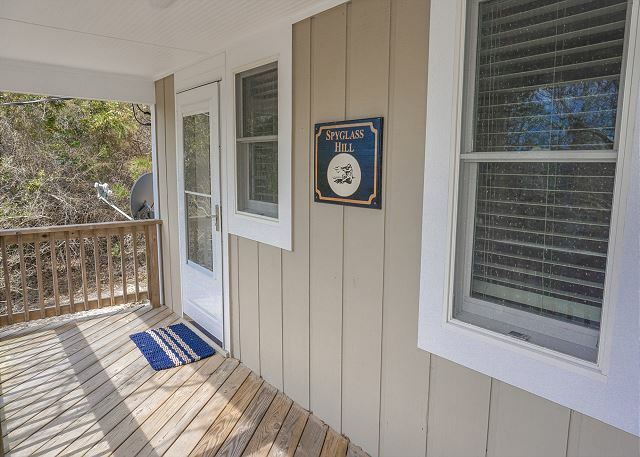 Come enjoy Spyglass Hill but be warned…you might not want to leave! 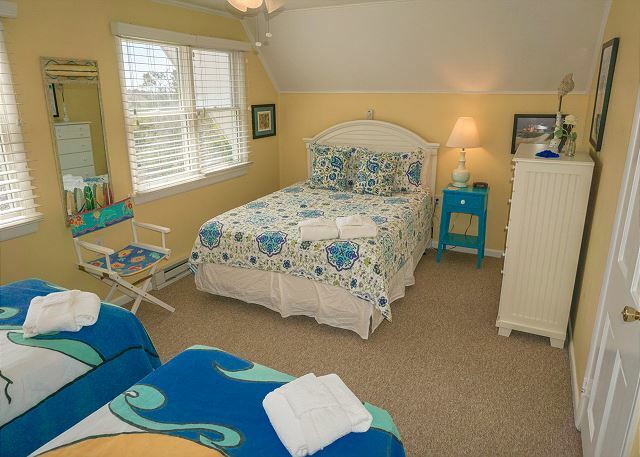 We have stayed at Spyglass Hill for several years and always have a relaxing and comfortable stay in this home. 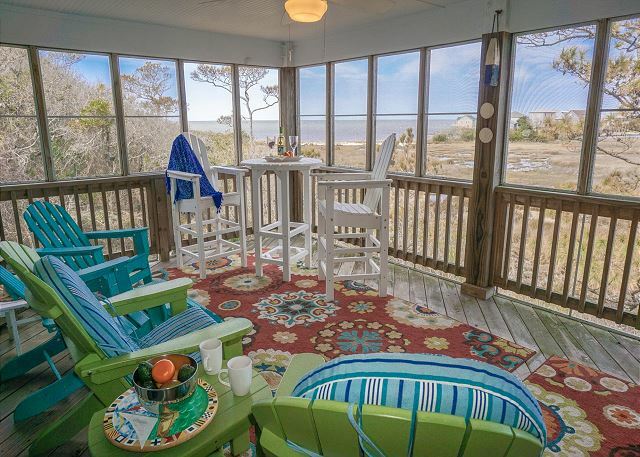 We enjoy the screened in porch morning and evening for meals or just sitting watching the marsh for birds and the sound for kayakers and wind-surfers and beautiful sunsets. 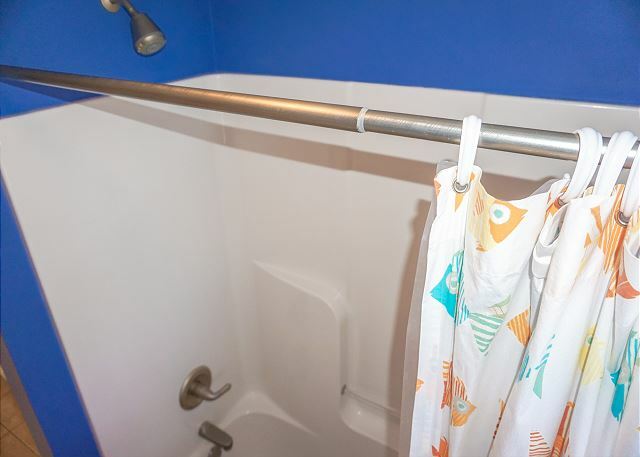 The upper deck off the master suite is also a great place for star-gazing and morning yoga. The hot tub is great in the evenings. 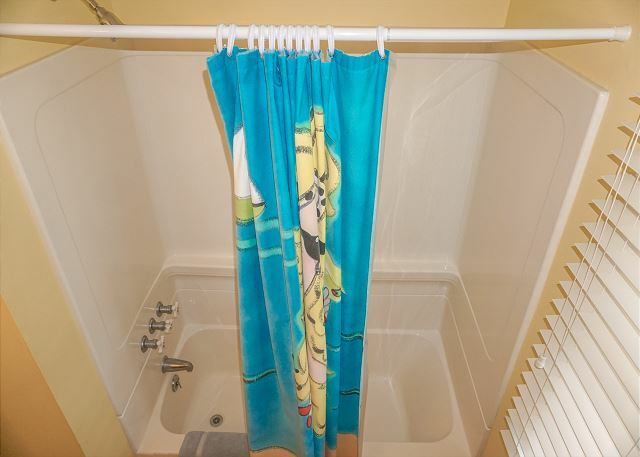 The home is located in a quiet neighborhood with very little traffic - great place to walk the dog. 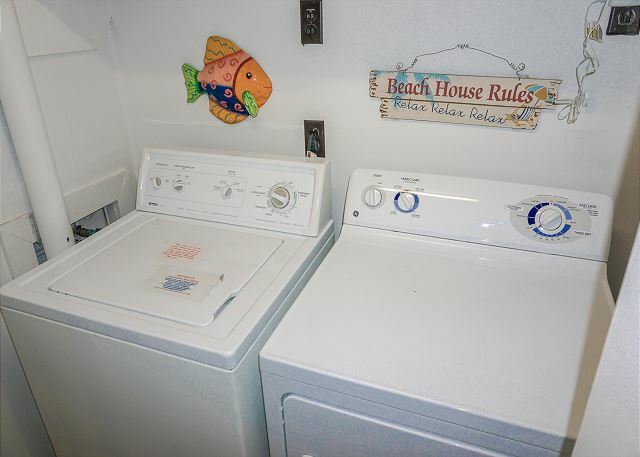 Nicely and comfortably furnished; complete kitchen with everything you need to prepare great meals; close to Buxton Seafood for fresh seafood and Conner's Market for groceries; short drive to The Point for fishing and the Billy Mitchell for wading and shelling. 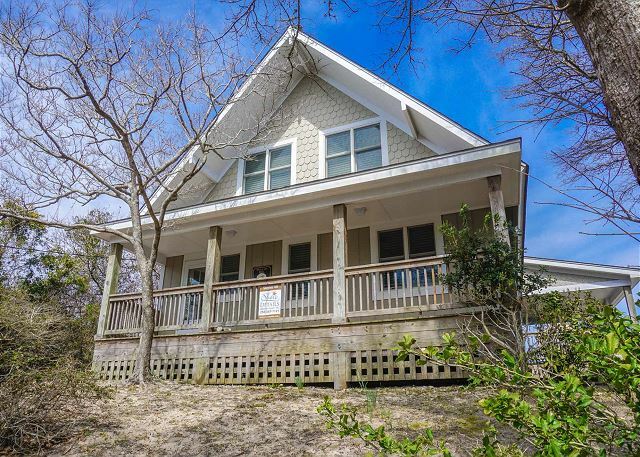 Easy drive to Hatteras Village to catch the ferry to Ocracoke for a day trip. Nice outdoor shower. 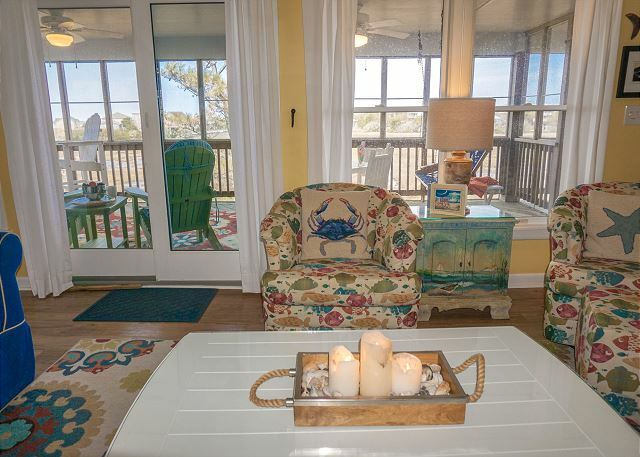 Feels like home at the beach. 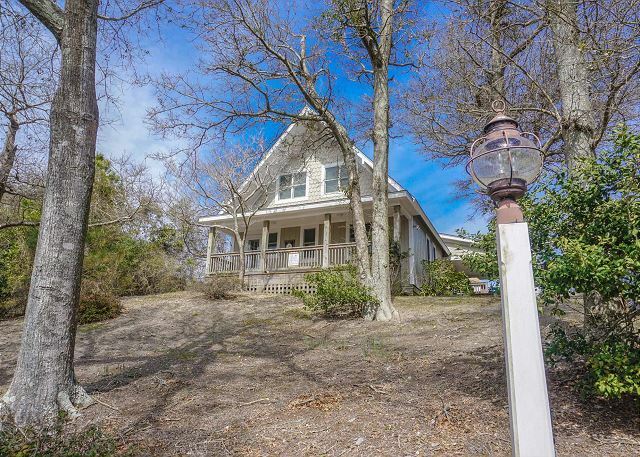 This house has a cozy, well appointed cottage feel. 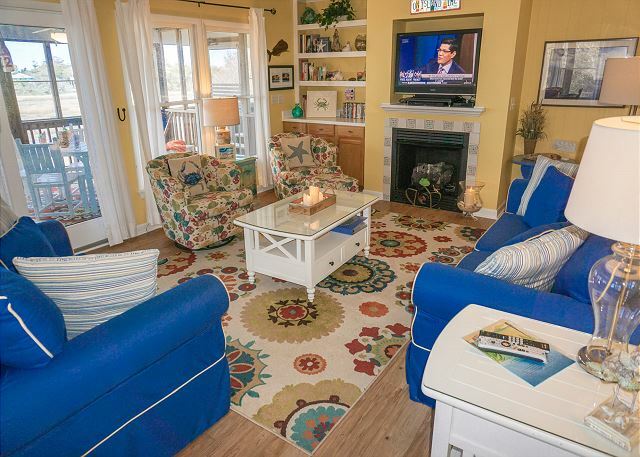 There was plenty of room for 6 adults to relax and unwind. 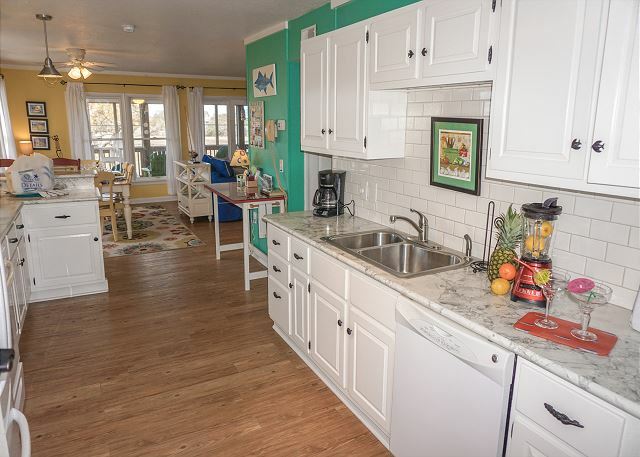 The kitchen has all the dishes and appliances you need. 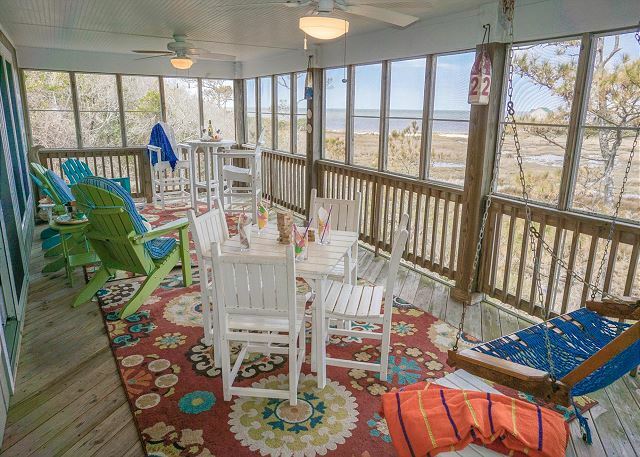 And the screened in porch offers great views. Lots of vegetation for privacy. Lovely place. We had a wonderful time. 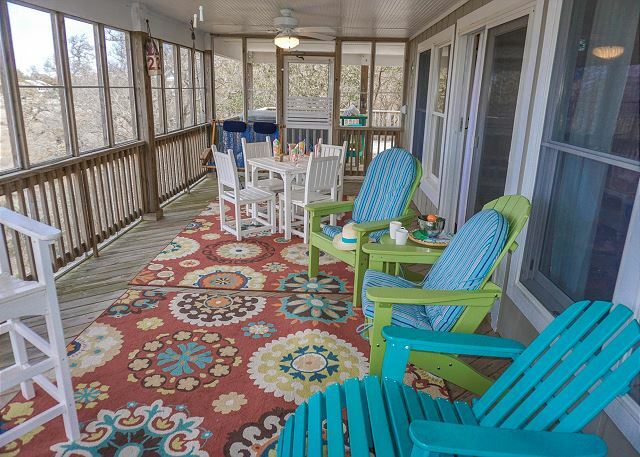 The house was very nice and the porch was amazing! 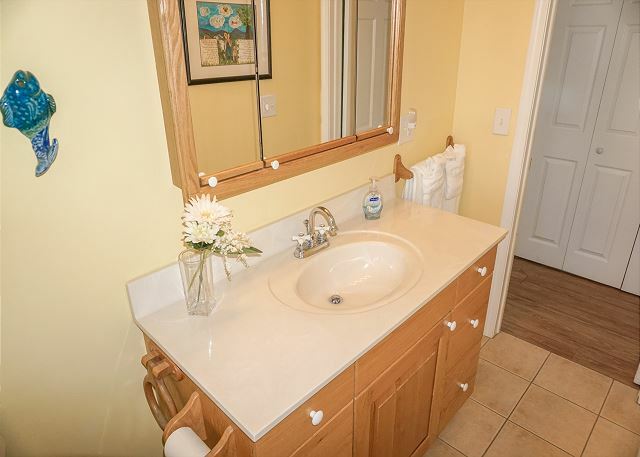 It was a great neighborhood and close to beaches, stores, and everything you need. I haven’t been to the Outer Banks since I was a kid. I decided to take my family there to experience what I remembered. Spyglass Hill more than exceeded our expectations. I couldn’t keep my kids in the house. Even though it rained most of the week, we still managed to find things to do. The Park Rangers have all kinds of programs going on. Definitely recommend. But at the end of the day, Spyglass Hill was our quiet piece of heaven to return to. 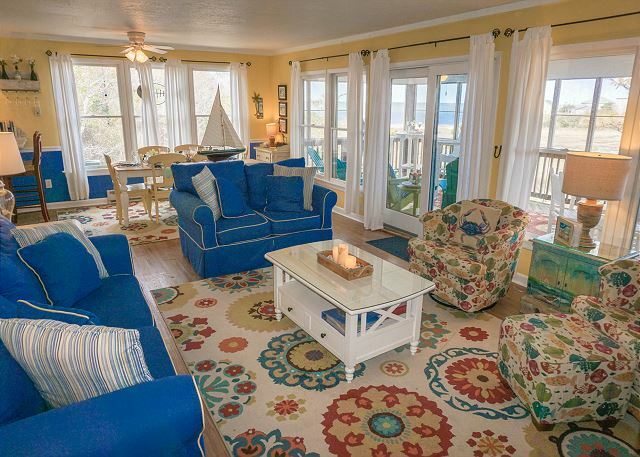 Located on the sound, it couldn’t be more perfect.